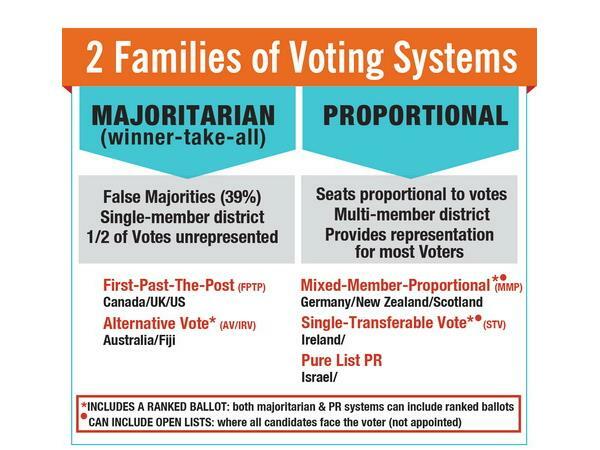 The Liberal government of Prime Minister Justin Trudeau and Minister of Democratic Reform Maryam Monsef have pledged that Election 42 will be the last using the "First Past The Post" system. What their plan is has yet to be revealed to the Canadian public. 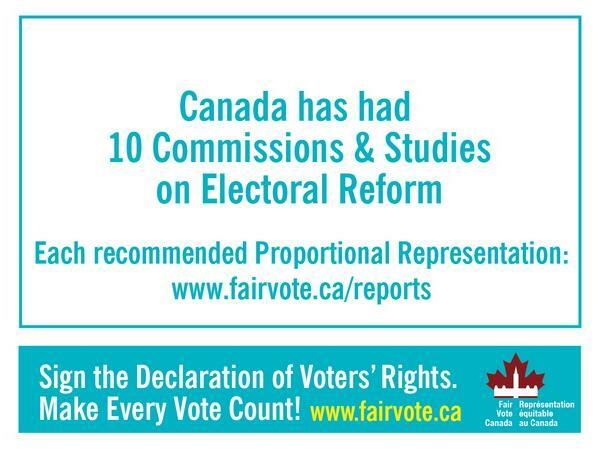 But the discussion is very lively about what a new electoral system should look like for Canada outside the House. 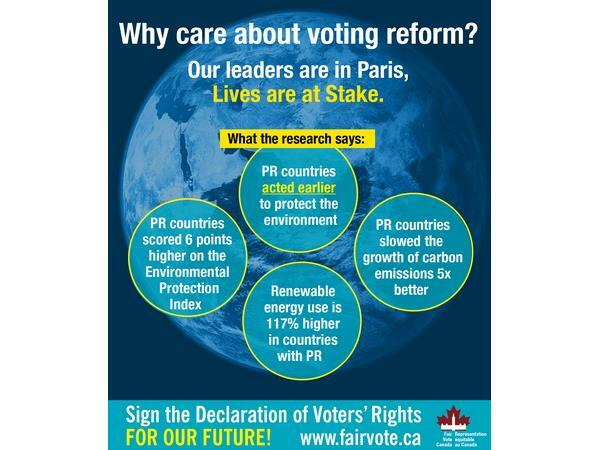 Over 90 countries, including 85% of OECD members, use some form of Proportional Representation. 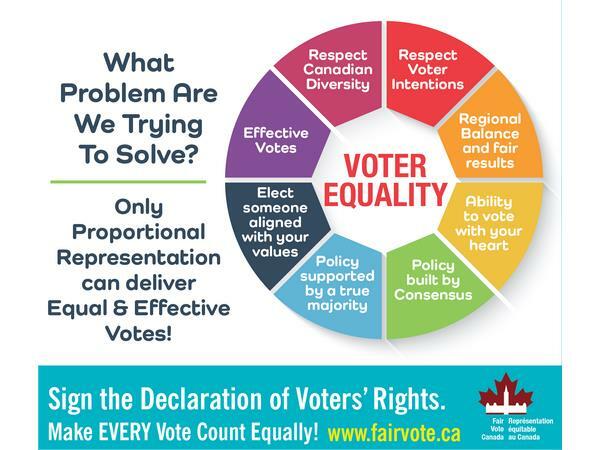 The old rhetoric of "every vote counts" is simply not true in a FPTP electoral system. 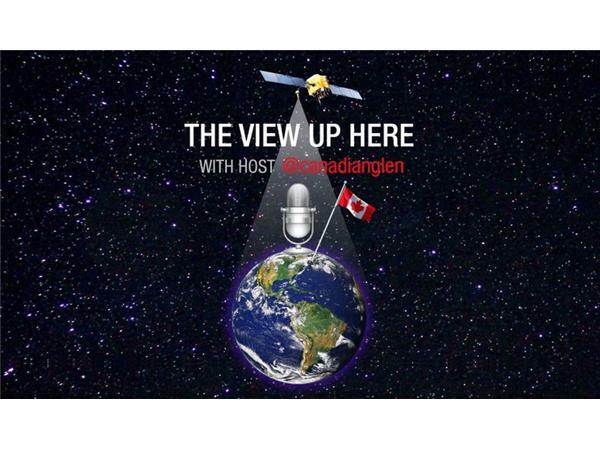 Since World War I, Canada has had 17 "majority governments" based on seat count. Only four of those had an actual majority of the popular vote. 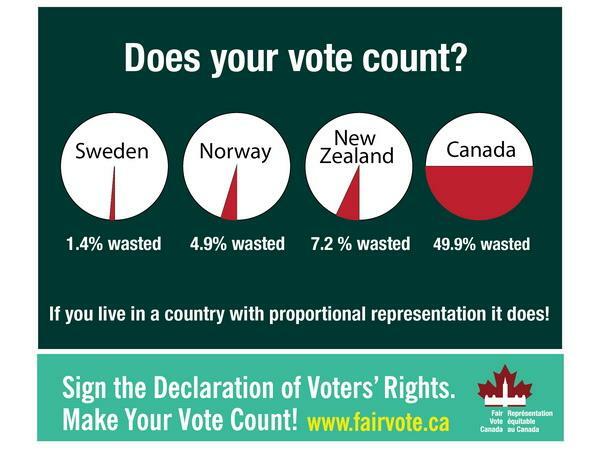 Canadians have in reality been electing minority governments most of the time, based on vote totals. 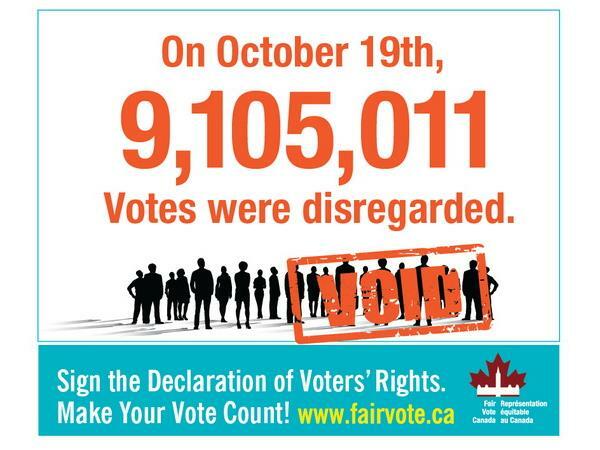 The Liberal government has publicly decried "We will make every vote count". Do Canadians really think their votes translated into an accurate seat count? 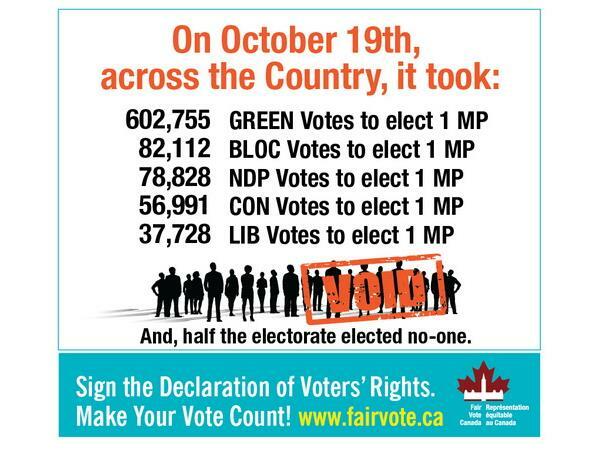 On October 19, it took 37,728 votes to elect one Liberal MP. It took 602,755 votes to elect one Green MP. Nearly 17.6 million votes were cast, yet the overwhelming Liberal majority was delivered with just 4.6 million of them. 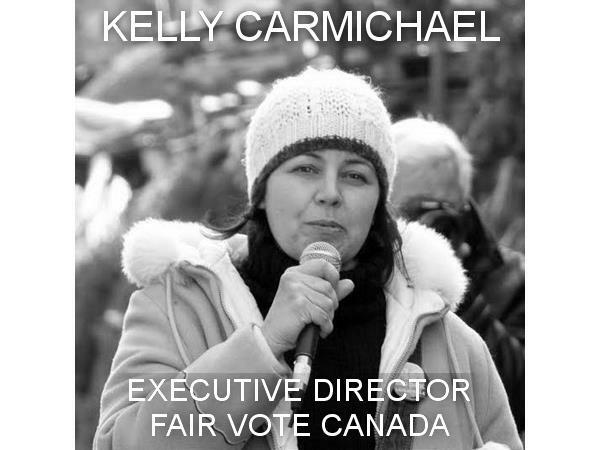 Kelly Carmichael, Executive Director of Fair Vote Canada, joins us to examine what is and what needs to be for Election 43. 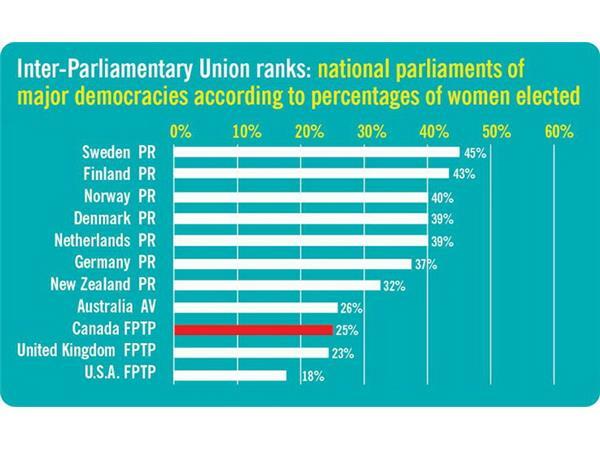 Proportional Representation delivers equal and effective votes, better environmental performance, better gender equality and better policy development and implementation, based on historical data.